Chilli jam and herby buttered potatoes are not a traditional pairing I admit, but I didn’t actually eat them together, I just cooked them at the same time. 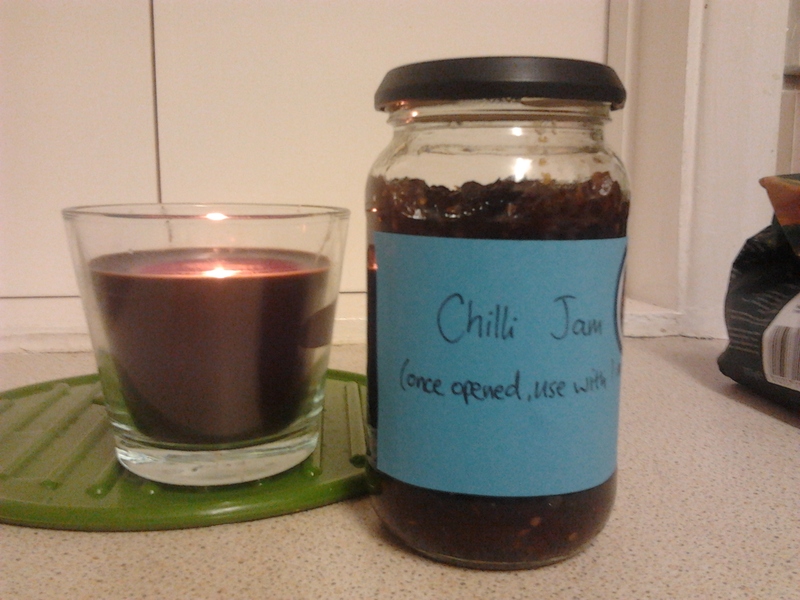 The chilli jam was an edible gift and would make a good Christmas present perhaps with some cheesy biscuits. The recipe makes 1 jam jar, and has quite a lot of ingredients for that really (e.g. 450g tomatoes doesn’t look like it’s going to fit in the jar). I put all the ingredients unchopped into the food processor and blitzed them, tipped into the pan and simmered away until done, so it’s a pretty easy recipe. It does stink the kitchen out (as with most chutney) so that’s why there’s a lit candle in the picture below! It’s not such a nice colour as the other chilli jam I’ve done before (Nigella’s) but it has more ingredients, so it’s a bit more interesting. 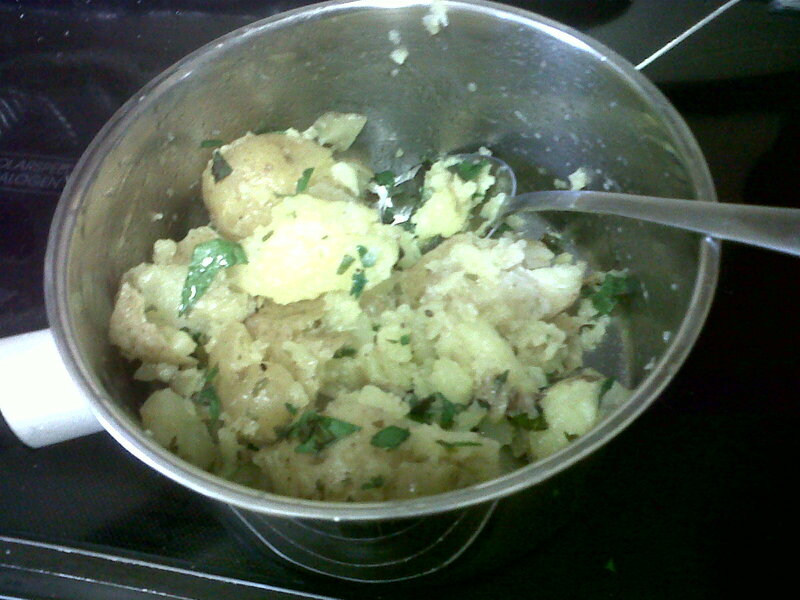 The potatoes are just cooked new potatoes, crushed a bit, with butter, fresh tarragon, mint and parsley. 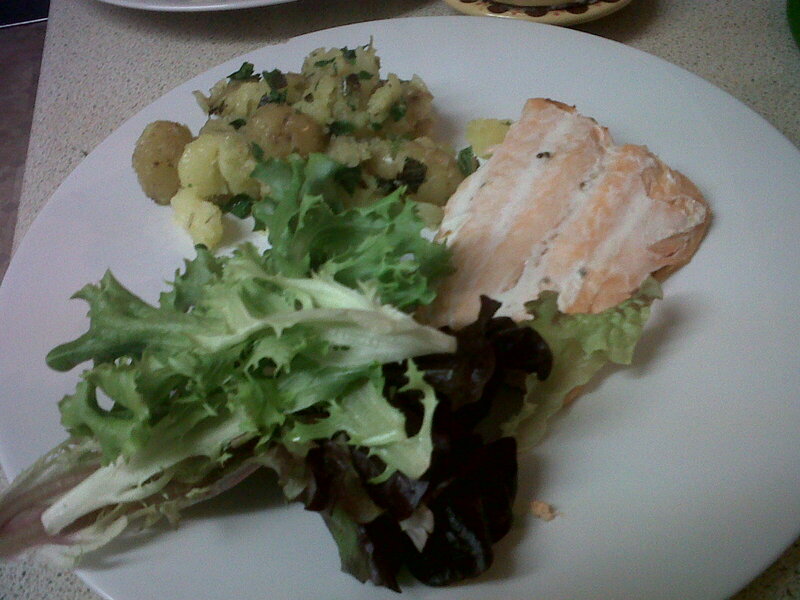 I used dried tarragon though because Tesco had no fresh. Seemed fine to me, but I’m not an expert. They made a good accompaniment to fish.